Rent villas and apartments in Bludenz District, Austria. Book affordable holiday rentals that are near a golf course. 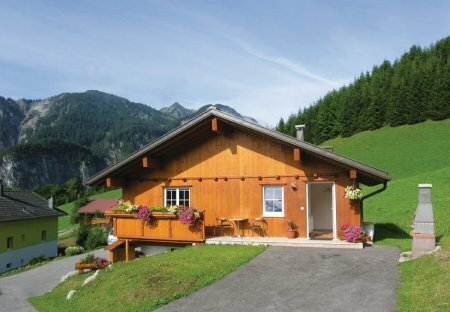 This 2 bedroom chalet is located in is located in Dalaas and sleeps 5 people. It has WiFi, barbeque facilities and parking nearby. The chalet is near golf. This beautiful holiday house is quiet and sunny at a dead end right on the edge. Whether you are traveling during the summer months or during the winter months to the Montafon. This new and fashionably furnished holiday apartment is located in a separate part of the main house. This apartment has a private entrance. Relax in your holiday in Austria in one of the comfortable apartments (AVO075 and AVO076). 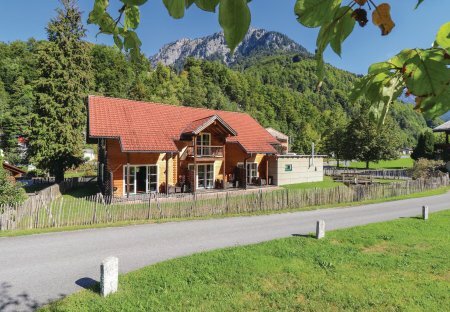 At this peaceful location with stunning views to the mountains of St. Gallenkirch can really enjoy. This very cosy holiday apartment in Montafon is an ideal starting point for trips in the Vorarlberg Mountains. You can unwind on the large sun terrace with a wonderful view of St. Gallenkirch. These two recently furnished and comfortable holiday apartments (AVO112 and AVO113) are in a pleasant, well-tended and erstwhile farmhouse. This 3-bedroom villa for up to 8 guests is located in St Gallenkirch and has a private swimming pool and. This 1-bedroom villa for up to 4 guests is located in St Gallenkirch and has a private swimming pool and.